Explore the innovations and stories of America's fastest sport. 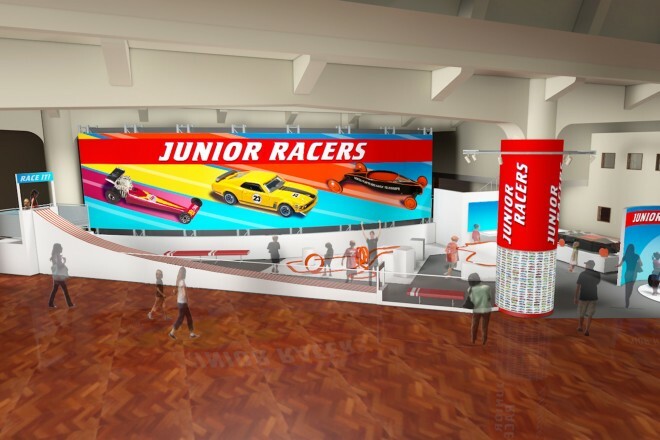 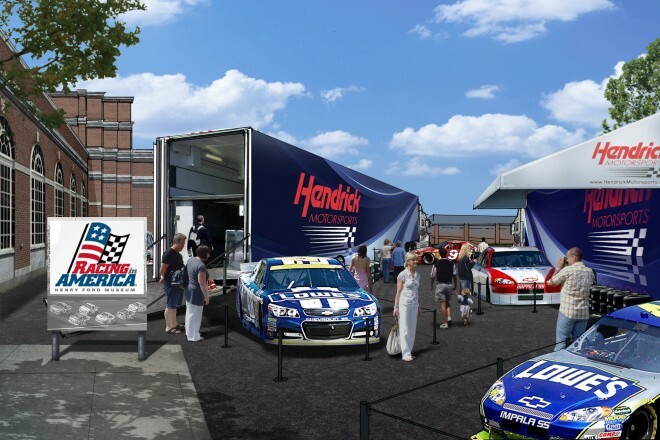 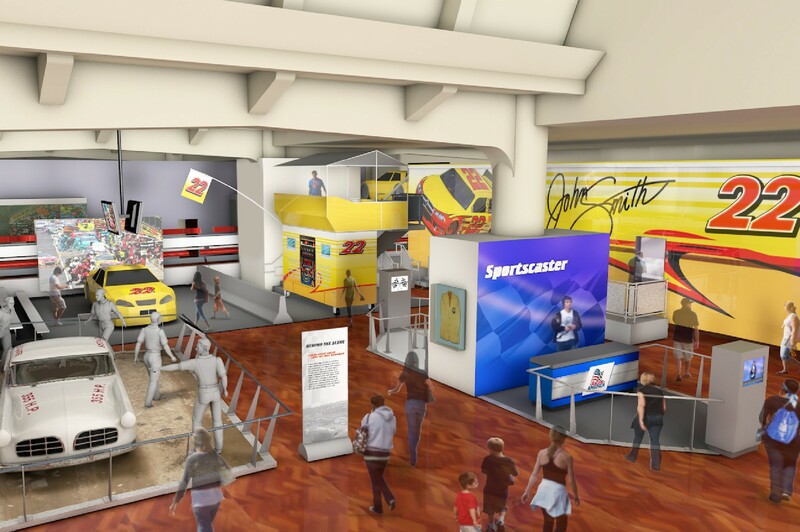 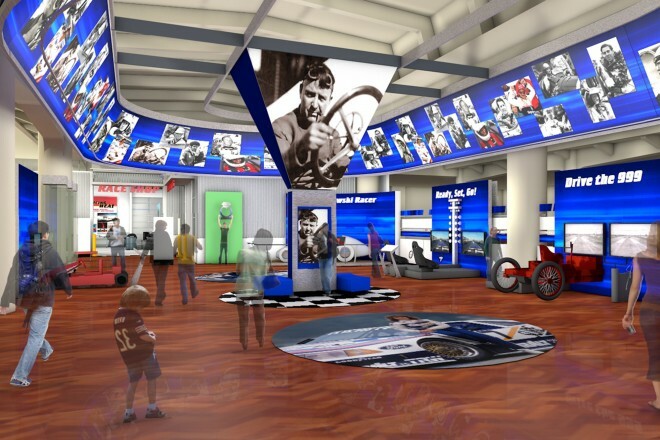 The excitement of a day at the races will come to life in the new American Auto Racing exhibition at the Henry Ford Museum. 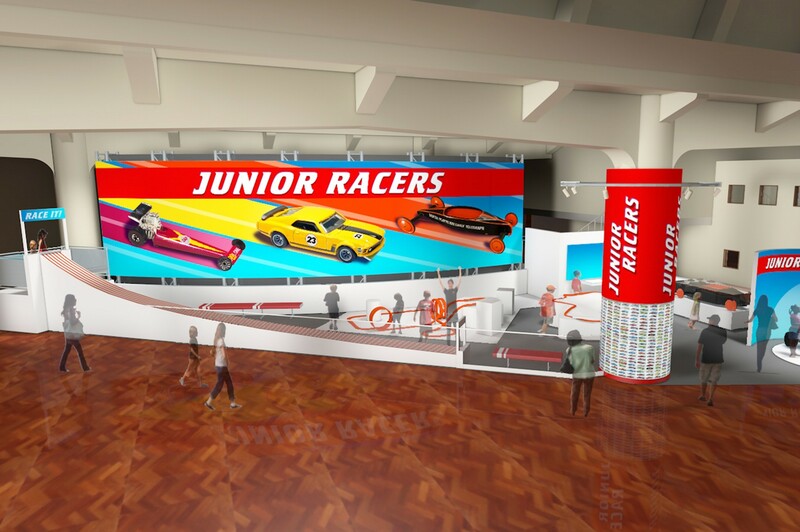 Visitors will feel the rumble of a drag race start, learn how drivers train, and marvel at historic race cars, such as Henry Ford’s first racer, the Sweepstakes. 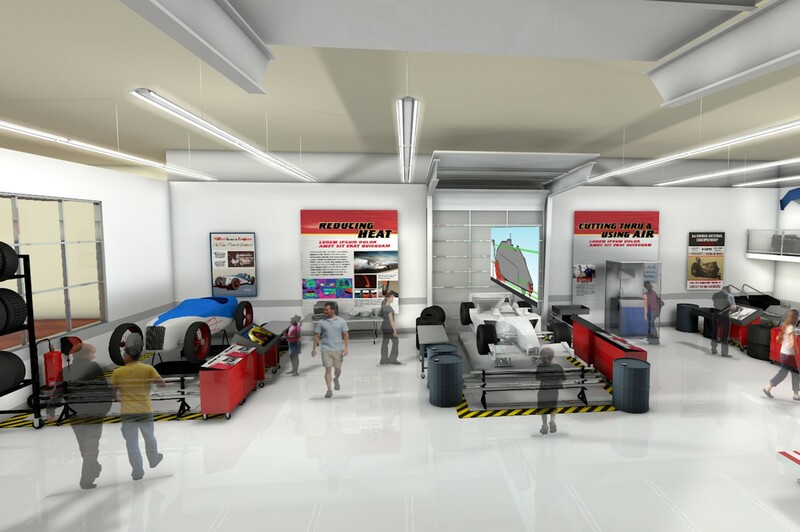 Interactive exhibits allow visitors to explore innovations under the hood. 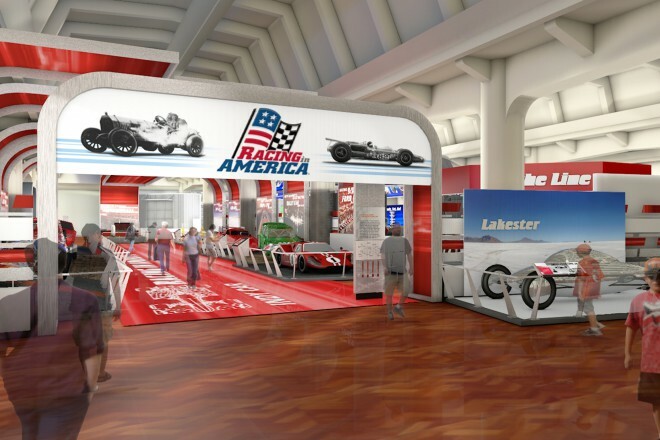 The exhibit covers all forms of American racing in the past 100+ years, from NASCAR to Landspeed. 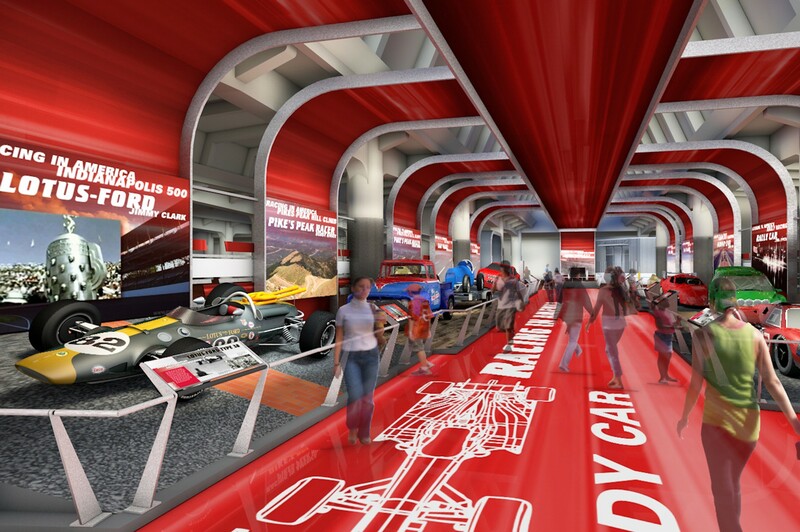 Working with the team at the museum, West Office provided concept design services for an exciting racing experience.